Whether you’re looking for a creative writing program that leads to an associate’s, bachelor’s, master’s, or doctoral degree at a US or international school, and whether you want a residency or low-residency program, here you’ll find easily searchable listings of our selection of the most worthwhile programs. 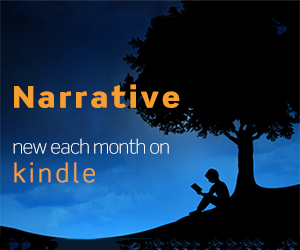 The listings include links to author bios and works by each program’s graduates and by current and former faculty members who are published in Narrative. When studying literature, you’ll learn both the long narrative of literary history and the careful scrutiny of particular genres, periods, authors, and ideas. When studying writing, you’ll work toward a mastery of language, including critical reading, rigorous analysis, and the creation of art. This three-year, forty-eight-credit-hour MFA program integrates writing, literary journalism, translation, and the study of literature to prepare students for a range of career possibilities. Write, give feedback, and receive guidance from a close-knit community of respectful peers and faculty. Our low-residency MFA in Creative Writing program is devoted not only to the education of literary artists but to community engagement and the pursuit of social justice. The program features one-on-one mentoring with a variety of successful, publishing writers and includes instruction in craft, revision, and critical reading and thinking skills. Through small classes, intimate workshops, and practicum, or one-to-one mentoring, the centuries-old apprenticeship model thrives within the New American University. The program requirements include forty-eight hours of study evenly divided between writing courses and literature courses designed to inform that writing. The program includes independent study under close faculty supervision, receptions, public readings, and discussion, selected readings, and other Atheneum events created around good food and great conversation, dialogue, and community. Plus, an end-of-program urban retreat to focus on your future writing goals. Augustana offers a major and minor in English, a major in teaching English, a major in English with a writing emphasis, and a creative writing major and minor. Beyond the introductory course in which students write fiction, poetry, and creative nonfiction, students take specialized workshops offered each term, as well as tutorials and independent studies. Bard’s MFA takes place over two years and two months, with students in residence on campus during three consecutive summers, and two winter sessions of independent study completed off campus. Creative writing is not a separate major but a concentration within an English major, and majors can only take on the concentration in their senior year. However, all students are welcome to enroll in creative writing courses, even those attending Columbia or who are not English majors. At Baruch, the discipline of English helps students unlock this potential through the study of a broad range of fields that includes literature, creative writing, literacy and rhetorical studies, linguistics, cultural inquiry, and film. Working with tutors and other writers in the course, you’ll develop your writing and build up a substantial body of work. Weekly workshops are taught by a strong team of published writers, and there are regular visits by literary agents, publishers, magazine editors, and broadcasters, as well as other writers. The ability to earn a fine arts degree in creative writing is an unusual opportunity at the undergraduate level, one that offers you time to completely immerse yourself in imaginative writing. During this two-year, low-residency program, you commit as much to reading as you do to writing and conceive reading lists that strengthen and broaden your knowledge. You perform critical literary analysis. 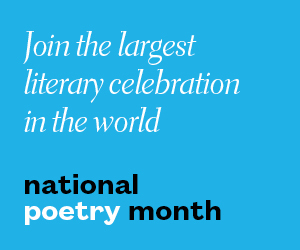 You craft bold new works of fiction, nonfiction, or poetry inspired by your discoveries. You finish with a polished thesis and a parting lecture. The English department has two principal responsibilities: advancing the student’s skill in writing and critical analysis, and furthering the student’s insight into the meaning and value of human experience through the study of literature and other art forms and through the student’s own creativity. The MFA Program in Creative Writing offers degree tracks in fiction and poetry, emphasizing the art and craft of literary writing and concentrating on the student’s written work. Offers students the opportunity to complete the MFA degree in fiction or poetry in one year (two to three semesters) through a rigorous combination of creative writing workshops and literature courses. 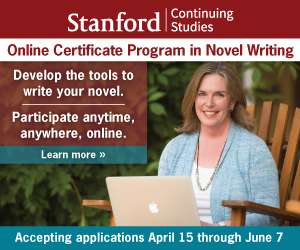 The program is a composite of a total of thirty-six hours, consisting primarily of writing workshops, including a minimum of one course in techniques, one in literary editing, one in pedagogy, and the remainder in recommended courses or electives. The Creative Writing Program is structured to allow flexible participation in its activities by a diverse body of students, whose interest or commitment may vary in nature or over time. This small, highly personal two-year program in creative writing confers master of fine arts degrees in fiction, poetry, and playwriting. It offers single-discipline and inter-genre workshops, literature seminars, small-group reading tutorials, and one-on-one tutorials. The Literary Arts MFA Program at Brown is structured to allow graduate student writers maximum possible time for creative and intellectual exploration. Students attend two courses per semester: a writing workshop and an elective.